Clermont is a beautiful rising suburb for Orlando, within easy reach anywhere between 20-30 minutes commute daily depending on the side of Clermont you choose to purchase a home. If you work for one of the world famous theme parks, then Walt Disney World is only 40 minutes which is the same commute as Sea World. Universal is a mere 33 minutes away. So whether work or play all are within easy reach. Clermont is based in Lake County which offers is own host of places to go within easy reach, there is Mount Dora Museum of Speed for example. For those who enjoy the outdoors, ( and who wouldn’t with Florida’s all-round Summer weather), there is Lake Louisa Sate Park, Venetian Gardens Park, Wooton Park to name but a few of its parks. Property in Clermont is on the rise and the predominate feature is Single Family Homes ranging from the affordable to very desirable homes in excess of a million dollar homes. The average Home Price in February 2017 was $230,700 having risen 8.1% on the previous year. 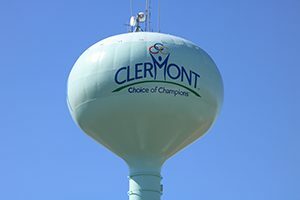 Clearly a good time to invest in Clermont rising market. Clermont covers zip codes 34714 – 34715 and has been described by Time.Com Best Places to Retire 2015 with the following categories in mind Outdoors, arts, college-town life, golfing and waterfront living. One of the first constructed Florida landmarks was The Florida Citrus Tower, which recently celebrated its 60th Anniversary. 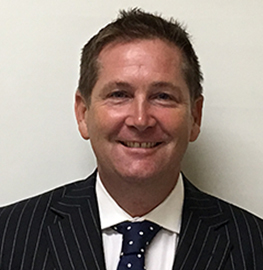 There are many fantastic homes in Clermont so if you need a local market expert do not hesitate to call or email Paul@Walker.Realtor and I will be delighted to help.